Our colleagues’ health and happiness is our top priority. We are committed to providing a supportive working environment that promotes and maintains health and wellbeing. As an employer, we are committed to promoting and protecting the physical and mental health and well-being of all our colleagues. Explore each of our initiatives by clicking on the tabs below. 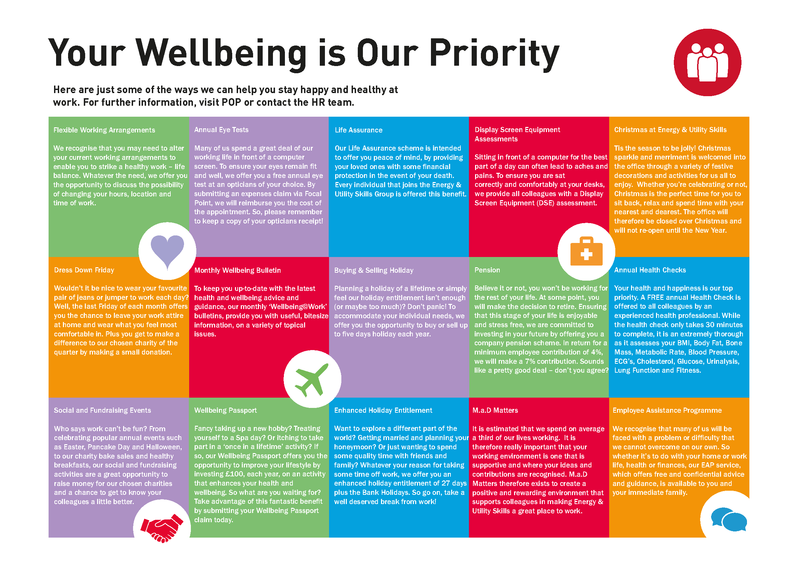 Our colleagues are given an annual wellbeing passport worth £100, which they can spend on a luxury of their choice. This can be something they feel will enhance their health & wellbeing. In the past our colleagues have used their wellbeing passport on gym membership, spa treatments, sailing lessons and theatre tickets. At Energy & Utility Skills our colleagues have access to a free, confidential, employee assistance programme. The Employee Assistance Programme offers around-the-clock support and guidance on a range of issues, from work-life balance, personal and family relationships to debt and money management. We offer a Life Assurance scheme to all our colleagues, intended to offer you peace of mind, by providing your loved ones with some financial protection in the event of your death. Colleagues have the option to access a free eye test at an optician of their choice. Free annual health checks are offered to all our colleagues. Health checks are conducted by an external private healthcare organisation and provides you with a confidential health analysis. As part of your employment at Energy & Utility Skills we offer a pension scheme to all our colleagues with an employer contribution of 7%. 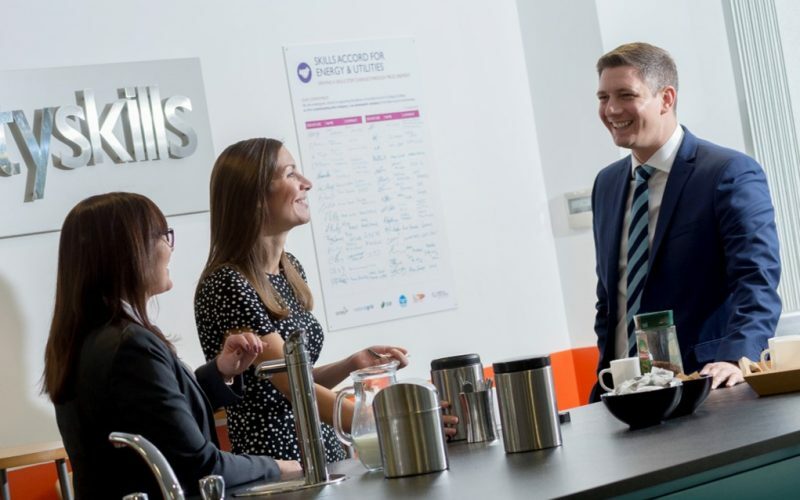 To find out more about what you can expect working at Energy & Utility Skills and view our current vacancies click here.